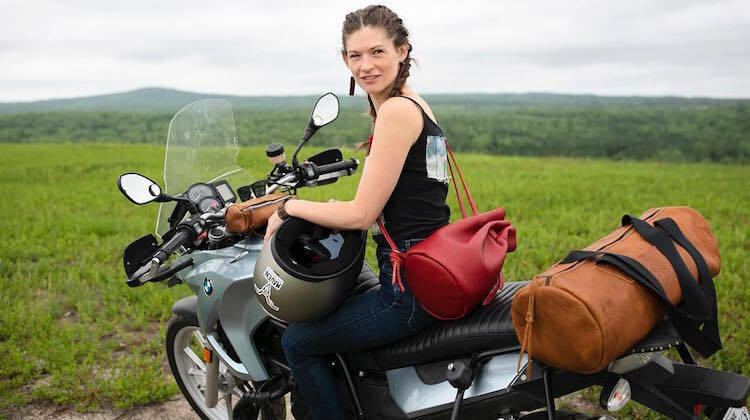 The Ellsworth American interviewed Emma about her business in Cherryfield, Maine, where she crafts custom leather motorcycle seats and bags. Emma told the newspaper she took auto upholstery classes at Mobile Technical Training Institute in Hackensack, New Jersey. 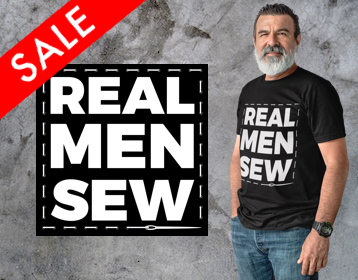 But sewing has always been a part of her life. Since then, Emma has lugged a machine everywhere she’s gone — including college, where she studied journalism. 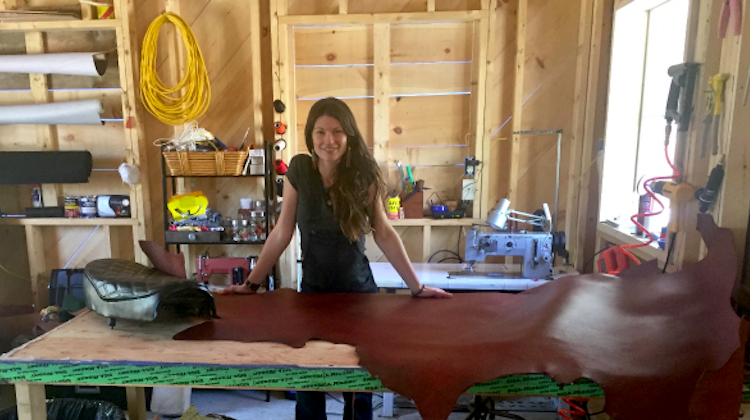 However, her interest in leather didn’t take off until about 10 years ago, when a friend gave her a garbage bag full of leather scraps. 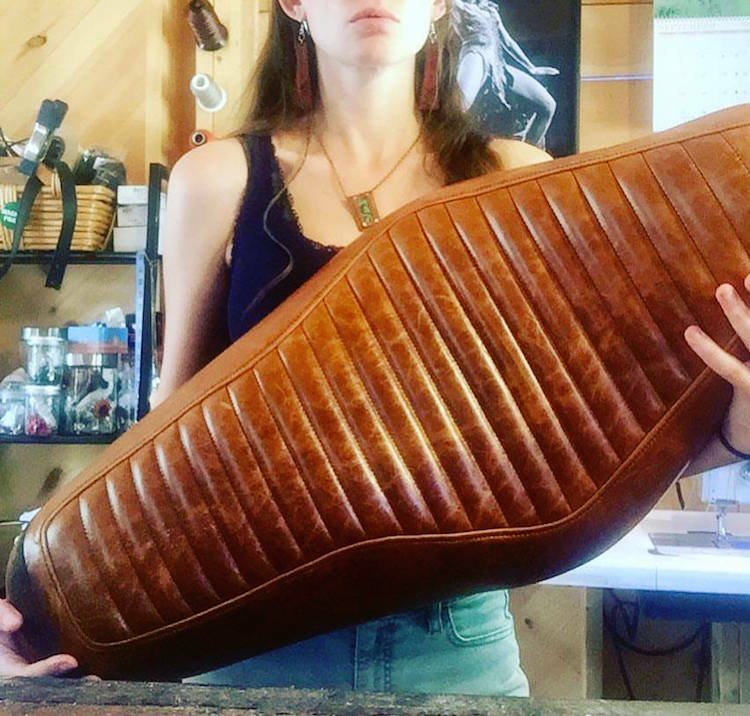 After buying a motorcycle, she tried her hand at designing a custom leather seat — and so her passion was born. “I look for imperfections or variations in color. 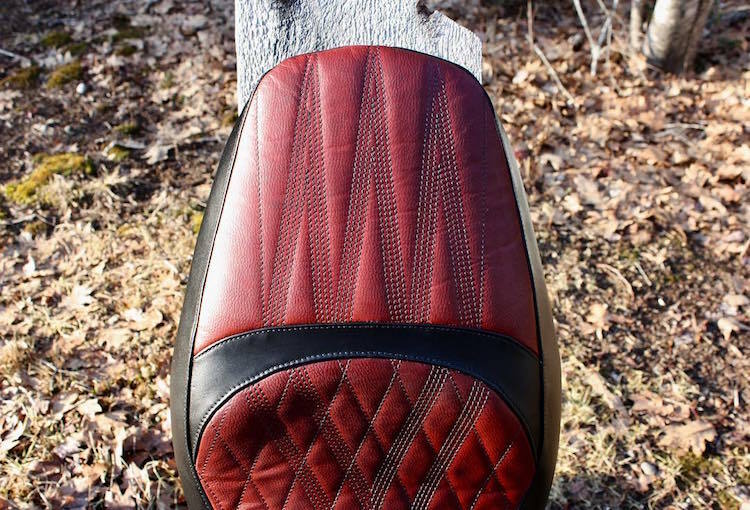 It’s just part of my work to remind people where leather comes from and to see beauty in that,” she added. Her eye for design, sewing skills and hard work are definitely paying off. Emma services her community in Maine, but also attracts customers from across the United States who place orders online. She also just moved into a new, larger workshop, which will host its grand opening on May 25. And in July, she’ll feature her work at the American Artisans Festival in Nashville, Tennessee. For more photos of Emma’s work, visit MavenUpholstery.com. You can also follow her on Instagram and Facebook.